Wild card on Sky’s Landscape Artist of the Year 2018, artist Kirsteen Thomson tells us about some fabulous places she's stumbled on locally and during her painting travels. 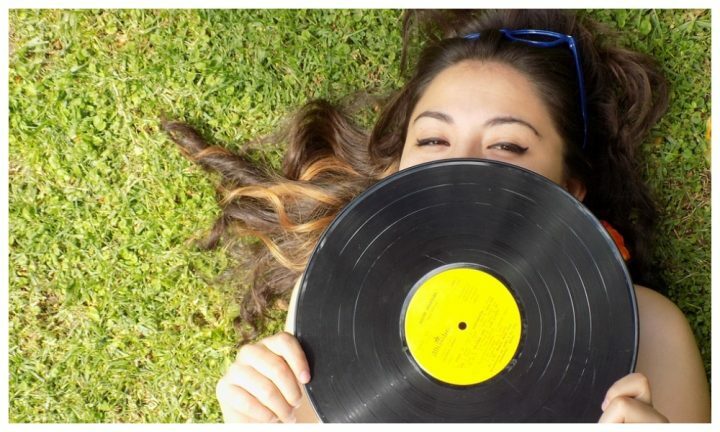 Kirsteen Thomson studied Art and Design at Leicester’s De Montfort University before working in London. She moved back to start a family – four kids, one dog and two cats later she’s still here and loving it. She’s the artist and author of Richard III- His Story and is currently working on the book’s second edition. She exhibited her impressive art work on Richard III at The Guildhall and her portrait of the late king was even bought by the Richard III Society. This year she’s a wild card on Sky’s Landscape Artist of the Year and here she tells us about some fabulous places she’s stumbled on locally, and during her painting travels. 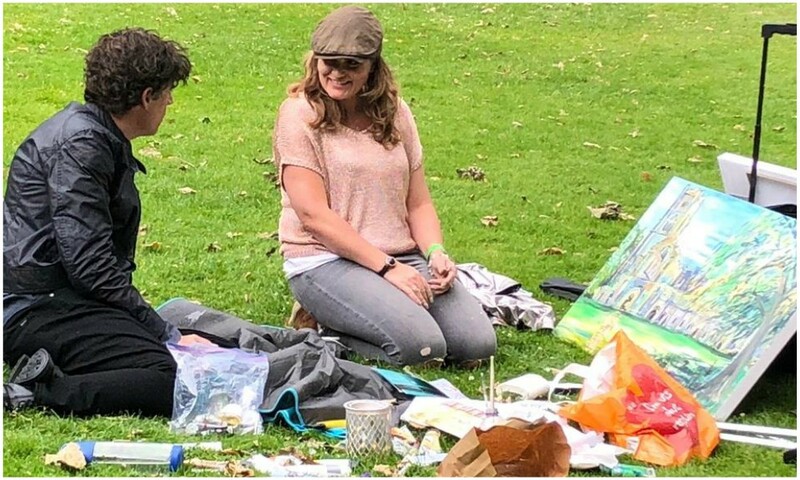 Kirsteen talking to comedian and actor, Stephen Mangan presenter on Landscape Artist. The best Thai food I have ever had was in Hamburg at Green Papaya. They also do take out which you can take down to the beaches at the docks and watch the sunset against an industrial landscape. It sounds so wrong but surprisingly it works and it has a really cool atmosphere that I definitely want to capture in paint. 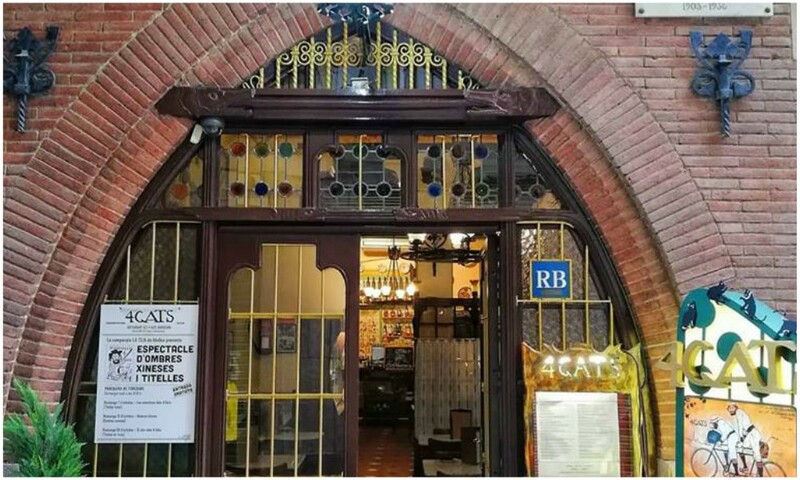 For oysters and cava at affordable prices you can’t beat 4 Gats in Barcelona. I also tried some local food that I would never have usually tried. I literally followed Picasso’s footsteps as this was a place he regularly hung out at with other artists when he was 15, giving his sketches away in return for a drink. A brilliant place to buy art in Portugal is Art Catto in Loulé. There’s a wide range of highest quality art to suit different tastes. 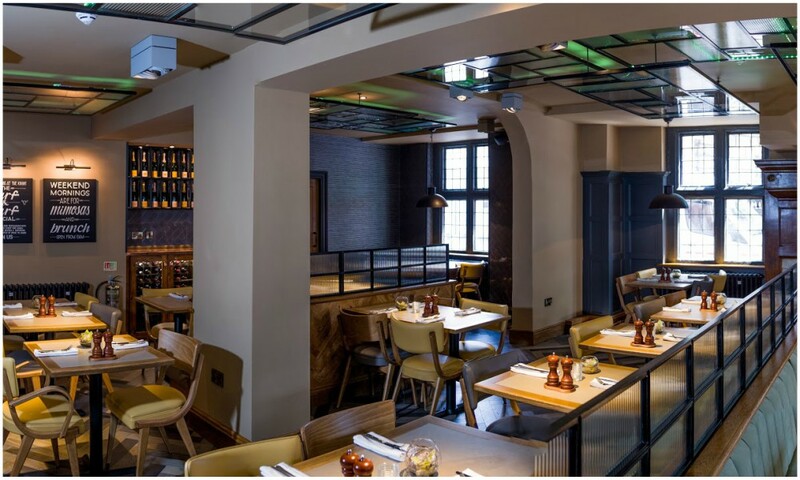 Bringing it back home, I love the tasteful attention to detail in which pub, The Knight and Garter, a beautiful historic building has been thoughtfully restored. I held an exhibition at their opening last summer in a room which you can hire out, perfect for special events. The food is fabulous and the cocktails are even better! 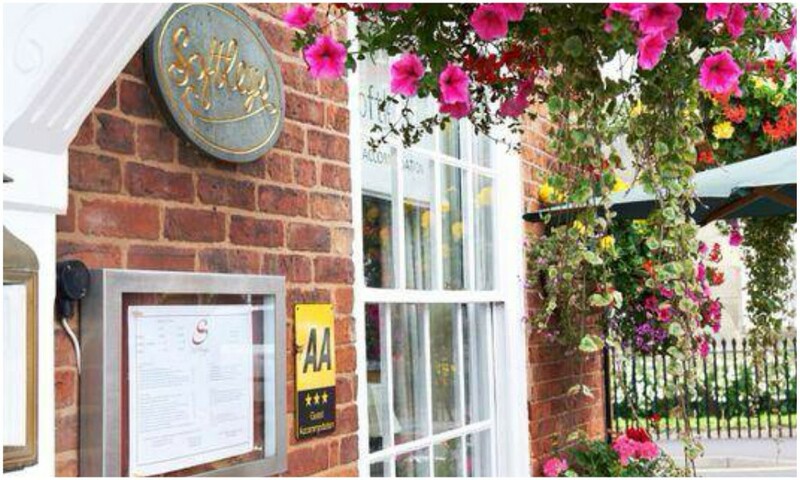 For a cosy meal we love to escape to Softleys in Market Bosworth. I don’t know why it took us so long to find this place as it’s on the corner of the square but we have had many tasty meals there with delicious wine to accompany it. Here’s an odd place to go but one I feel is so unrecognised – St Mary de Castro church. If you want to escape the noise of the city, this ancient church is just up from the Holiday Inn in Leicester by Castle gardens. Check their website for opening times but well worth a visit if you like history or appreciate a beautifully medieval atmosphere. 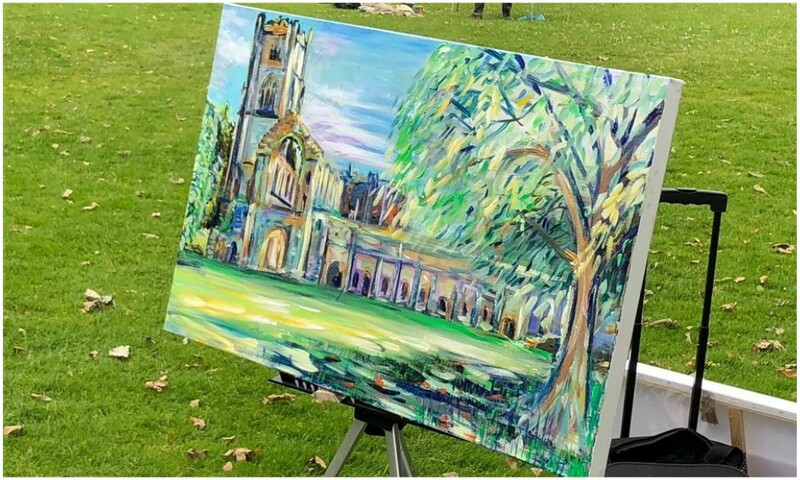 Kirsteen’s finished work of art – after four hours of panic painting, she finally finished painting Fountains Abbey in Yorkshire. This was one of the largest works of art. You can catch Kirsteen on Sky’s Landscape Artist of the Year, airing on Sky Arts Tuesday at 8pm. 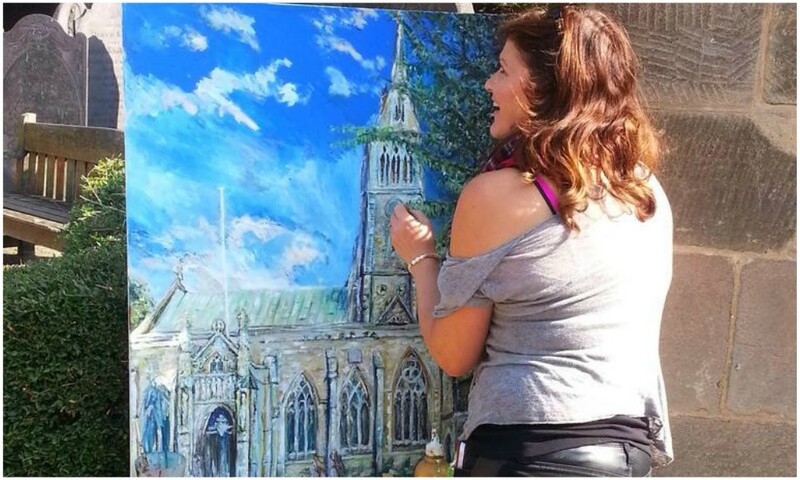 If you’re tempted to try your hand at creating your own beautiful paintings, you’re in luck; Kirsteen is starting art classes from her studio in Kirby Muxloe in the new year for beginners to more experienced artists. Head to her website to book a class. I have watched and enjoyed landscape artist of the year for a number of years now but having watched this years final I find it unbelievable how the judges came to their conclusion. The other two finalists were far superior. It was wasted viewing time as far as I’m concerned.